Elegant, warm and inviting are three words that describe this Four Seasons Los Angeles wedding reception in the Beverly Hills hotel's ballroom. 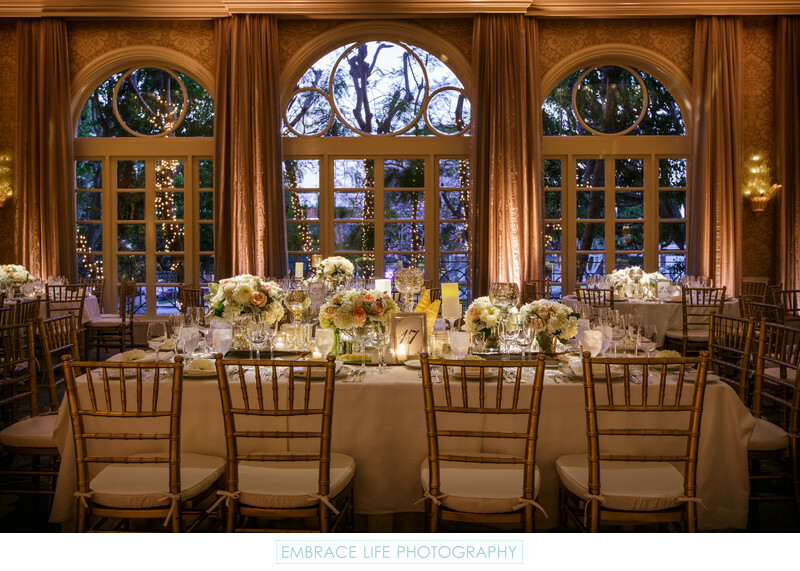 Gold chiavari chairs, candle light, uplighting on the curtains and sconces provide the warmth, while the wedding venue's styling and a variety of mercury glass bolster the wedding's elegant styling. The Hidden Garden's stunning flower arrangements provide the perfect, soft touch to the already inviting ambiance.